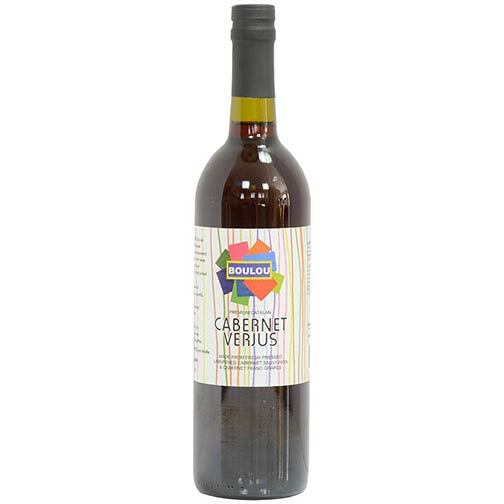 Made from pressed then heated juice of unfermented Cabernet Sauvignon grapes, Boulou’s Cabernet Verjus is perfect used as a gentle acidulate for any dish needing a burst of fruity flavor. Think of a bright, sour and juicy red wine vinegar –akin to cranberry juice, but with limited acidity. Cabernet Verjus, with its beautiful vivid hibiscus color and distinct fruity flavor, retains an acidic balance signature of traditional verjus.